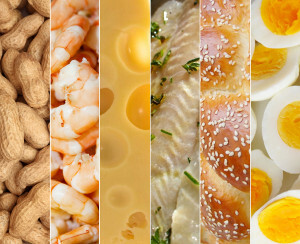 You are now required to warn your customer if any dish on your menu contains one or more of the fourteen major food allergens covered by the legislation. However, a far more serious consequence of non-compliance is the very real risk that your customer may suffer serious harm if they are served a dish containing ingredients to which they may be allergic. Already this year, there has been the highly-publicised case of a 18-year-old student who died as a result of eating a chicken dish in a Manchester restaurant that she should never have been served . 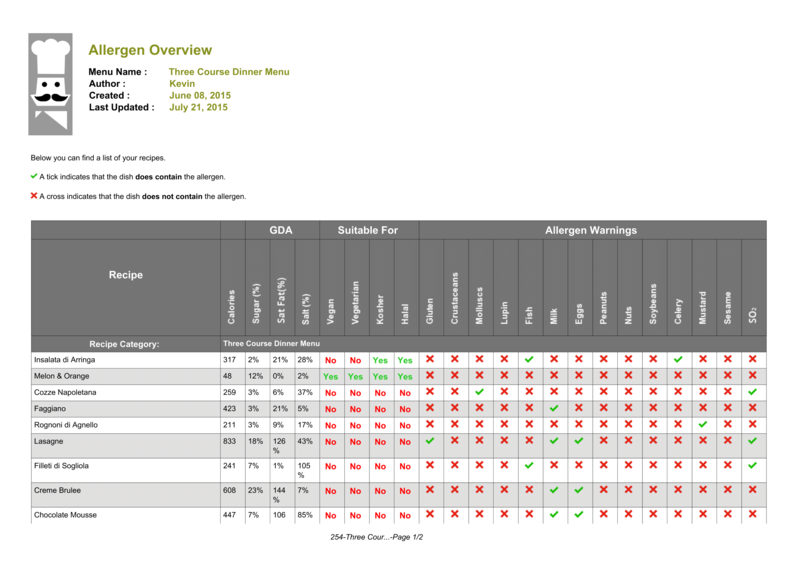 MenuAnalyser provides you with an Allergen Matrix Report that lists every dish on your menu with nutritional and allergen information laid out in an easy-to-read graphical format. We have discovered through extensive research that this is the best method for displaying the allergen information, especially in a busy restaurant. The Allergen Matrix Report will enable your waiting staff to quickly check the nutritional and allergen content of any dish on your menu at a glance. Click on the image for a full-size example of the Allergen Matrix and see for yourself how it will make it a breeze for you to conform with the legislation. Many of the business that contacted me were completely unaware that the legislation was coming into force. 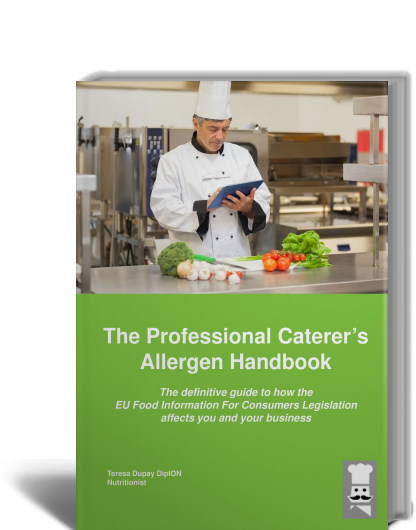 Even those that did know about it were not clear about exactly what it involved.In order to provide you with the complete lowdown of what the legislation really means to you and your business, I have written The Professional Caterer's Allergen Handbook for you.